I started blogging in 2015. I was homesick and wanted to feel connected by educating people in the West about the “mysterious” continent of Africa. It was all I had experienced. The shock people expressed when I said anything about Ghanaian culture convinced me to put the contrast of my new space and home into writing. It was a passion project which allowed me to do what I did best-write. I wrote about my love for Africa. Our people. Our food. Our lifestyle. Our radiance. Our history. Our homes. And our stories. 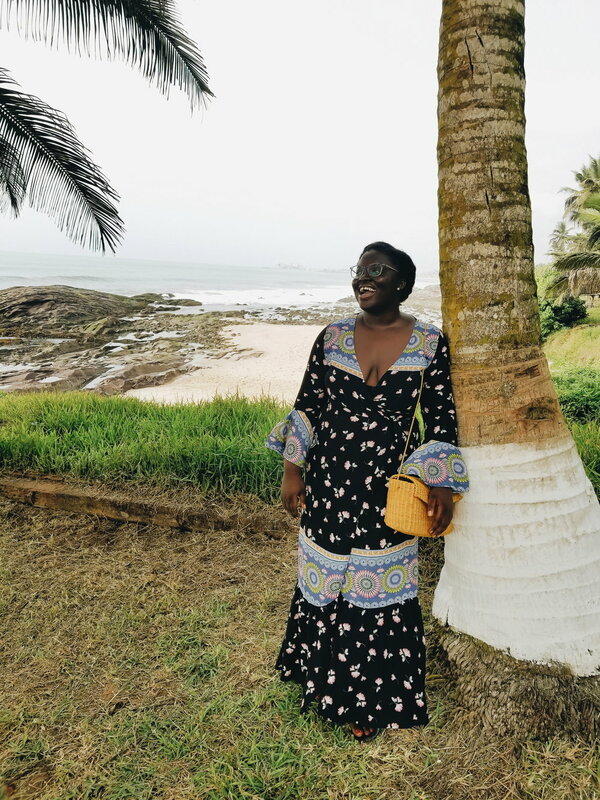 The blog was literally called, MY LOVE LETTER TO AFRICA. As I continued to write, I started experiencing love from my readers. The love for more. They did not just want to know about my home. They wanted me to talk about me. About my stories. Knowledge. And personal experiences. So I wrote some more. That journey has led me here, to this blog. A place where I share pieces of information that I want you to know. Pieces of life that may make yours a bit better. A place of conversation and dialogue. A place where I share my ideas and life. All through an Afrocentric lens. Currently, I am back home in Accra, Ghana navigating these shores I left a while ago. So look around. I promise, you’ll love it here.